What are Cybernetics?There are many definitions of cybernetics and many individuals who have influenced the direction of cybernetics. Cybernetics takes as its domain the design or discovery and application of principles of regulation and communication. Cybernetics treats not things but ways of behaving. It does not ask "what is this thing?" but "what does it do?" and "what can it do?" Because numerous systems in the living, social and technological world may be understood in this way, cybernetics cuts across many traditional disciplinary boundaries. The concepts which cyberneticians develop thus form a metadisciplinary language through which we may better understand and modify our world. Several traditions in cybernetics have existed side by side since its beginning. One is concerned with manifest in technological developments--notably in the design of computers-and finds its intellectual expression in theories of computation, regulation and control. Another tradition, which emerged from human and social concerns, emphasizes epistemology--how we come to know-- and explores theories of self-reference to understand such phenomena as autonomy, identity, and purpose. Some cyberneticians seek to create a more humane world, while others seek merely to understand how people and their environment have co-evolved. Some are interested in systems as we observe them, others in systems that do the observing. Some seek to develop methods for modeling the relationships among measurable variables. Others aim to understand the dialogue that occurs between models or theories and social systems. Early work sought to define and apply principles by which systems may be controlled. More recent work has attempted to understand how systems describe themselves, control themselves, and organize themselves. Despite its short history, cybernetics has developed a concern with a wide range of processes involving people as active organizers, as sharing communicators, and as autonomous, responsible individuals. In summary: Humanity will experience a new technological golden age. The cybernetics may also be used to defeat some diseases with micro robots in your blood stream. So you’ve read the introduction pages and know this newletter is about self empowerment, self improvement and being more empowered than you ever were before. How does this apply to the concept of an Altered? The general digital consensus in other words, an Altered is defined as: “…a cybernetic organism…The cyborg is often seen today merely as an organism that has enhanced abilities due to technology, but this perhaps oversimplifies the category of feedback. We will derive two essential definitions from these descriptions. There is presently a “core cyborg” definition that fits all the original criteria, and an extended “personal cyborg” that defines today’s modern Altered. 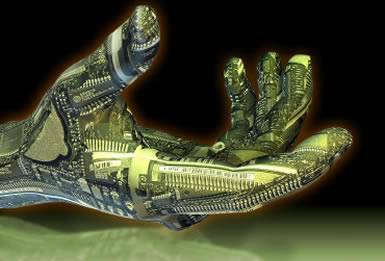 1) A core cyborg is an organism that: is structurally a complex system, can be broken down into individual elements. can provide its own feedback, andovercomes physical and/or mental constraints of the human body. 2) A personal cyborg is an organism that: contains all the original attributes of a core cyborg, may exist because of inter-regulatory systems of both artificial and biological nature,may overcome physical and/or mental constraints of the human body through purely technological means, and most importantly must exist because of one’s own imagination (i.e. it must be personal in nature). One of the most common questions we get from the Humanist groups go something like this. "I have been pondering for a while about this question for a while now. Should it be legal to become a cyborg? Should it be legal to completely change your body with robotics? "A: Why should we prohibit a paraplegic to walk again if all she/he needs is a mechanical replacement or an implant that lets him/her do just that? There's nothing wrong with helping amputees, disabled and the like this way, if they want it. Modifying a healthy body is a bit different. It is not wrong as a whole, but in things like competitive professional sports, you need to find completely new rules for these kinds of enhancements." As a purist, my personal belief is that the core cyborg is an ACTUAL cyborg since it is true in the original context. Its negative constraints are mainly a limitless definition. In other words you can describe pretty much anything today as a cyborg. Bugs with RFID chips are cyborgs. The President of the United States is a cyborg. If you are systematic and organic, you are a cyborg. I like this definition better because in accepting that we are all cyborgs upfront, we can focus on the point of being one: overcoming one’s own physical and mental limitations. That’s why this article is about self improvement through technological and biological methods. If you are reading this article because you want to be a super soldier or something along those lines, then you are here for the wrong reasons. Attempting to approximate a soldier is approximating an image, an old one at that. Why not be your own person? Improve on your physical and mental capacities in your own way. Most pertinent cyborg technology will attempt to improve your life in some way or another. Whether that means you will have replaced limbs, or whether you have improved yourself in a purely social/emotional/anything fashion is regardless. Coming articles will discuss the advantages of pursuing both of Altered theories and their relevance in self improvement.Look for coming articles that attempt to define the modern, fictional cyborg. I will be discussing body modification, mechanical upgrades, social skills, being awesome and range of other topics.